The Orem Library Author Extravaganza was a blast. Truly. So many great authors were present! I talked with Jed Henry, illustrator of Pick a Pup, a picture book by ----. I wanted to let him know how cool my daughter and I think the book trailer he made for his upcoming picture book, Cheer Up, Mouse! is. He MADE it! And he's the author of the book too, not only the illustrator this time. Come to find out, Jed graduated from BYU in animation! (And he knows Heather Dixon, who also graduated from BYU in animation and who is also an author [YA, Entwined]!) So Jed has Cheer Up, Mouse coming out next year, as well as TWO other picture books that he wrote and illustrated! I Speak Dinosaur and then one for Halloween....something Boo...Argh, I forgot! But anyway, it will be cool. Jed's artwork is great, and just judging by the Cheer Up, Mouse video, his writing is great too. See the video here! I got to say hi and give a little hug to Kristen Chandler, author of the contemporary YA titles, Wolves, Boys, & Other Things That Might Kill Me and Girl's Don't Fly. She is SO super nice. And smart and such a good writer. She and Ally Condie (Matched trilogy) were sharing a signing table (it really seemed like a perfect match. They are both so great and I think, maybe, they are my writer idols. They have such a humble and wise and just plain good vibe about them). I said hi to Ally too. I can't not! Super stars! And I wanted to say hi to Jessica Day George (Tuesdays at the Castle, Dragon Slippers), but there were always people at her side of the table (she was sharing with Bree). I may have dorkily and unnoticedly waved at some point. And Nathan Hale was there too, I wanted to say hi, but he was busy each time I was going to. Nathan is a great illustrator (Rapunzel's Revenge, The Twelve Bots of Christmas). He shared a table with Jed Henry. And Brandon Mull was also at the event (left). He signed my Fablehaven, book 1. He agreed to sign my other Fablehaven series books later (I didn't want to lug the whole boxed set in! And I'll be seeing him in the Rick Walton publishing class at BYU that I'm hopefully taking next semester! So excited!). I think it's so wonderful, that even though Brandon Mull is so famous and undoubtedly so busy, he makes the time to support the local libraries and local schools. That's a great person right there. Next to Brandon was E. J. Patten (below), author of The Hunter Chronicles, the first of which, Return to Exile, is out now. Currently, he has a deal with his publisher for two books in the series, but the story doesn't end in book two. He's hoping to make it a five book series --and I hope so too! It's middle-grade fantasy with a slew of interesting, shadowy creatures. Check out his blog for proof! And Return to Exile is the other book that you'll be able to win in the upcoming Dreaming of Books Giveaway Hop! E. J. (Eric? Mr. Patten? Cool Writing Dude?) will sign and send one of his books to the lucky winner! Yay! Next table over was prolific, children's book author Rick Walton, who, as I mentioned, is also a teacher at BYU. He'll be teaching writing for children and adolescents as well as a publishing class. I'm signed up for both! Can't wait! Rick is very kind and smart and I often see him at the local book events. He is the author of near or over 50 books! Dan Wells (John Cleaver trilogy) shared a table with Rick. Thankfully there was a small amount of space between Dan and the next table over which seated Dan's brother Rob at the nearest edge. (Robison Wells is the author of the awesome YA book, Variant.) There was no banter or sibling arguing while I was there though. (But I can't wait to see it when they're together at LTUE!). Dan had an ARC of his upcoming YA novel, Partials, that sat temptingly on the edge of his table, daring passersby to run off with it. Yes. We're excited for Dan's next book. So there was Dan Wells and Robison Wells and Rob shared a table with Tyler Whitesides. Tyler is the author of the awesome middle-grade book called Janitors (left), first in a five (or seven? Gosh! My mental retention is atrocious!) book series. The next is due out in August or September, 2012 and will feature another janitor figure on the cover, one by the name of Slick. 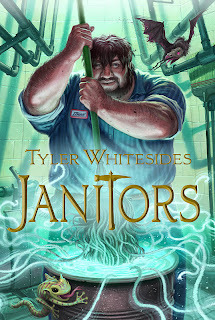 Tyler explained that the idea for the books is to make them easily recognizable as a series, with each cover having a similar layout of a janitor on the front and including the same title font and layout. The first book features the janitor Marv and has a green-ish color scheme. Each subsequent book with have a different color going on. As he explained this to me I got a very, visually appealing picture in my head; imagine all of the books together, spines out, rainbow colors, matching so perfectly in style and design. Ahh. I love it. We also talked about how many things in our daily lives can trigger memories of the Janitors story. Like a mop. Or a bucket. Or a YouTube video of a cute little owl attacking an invisible something. Janitors is a great story, you've got to check it out. You'll never look at a drinking fountain in an elementary or middle school the same way ever again. The signing for A Piece of Silver: A Christmas Story at the Orem Pkway Deseret Book was minus the illustrator Annie Henrie (she had some paintings to sell and couldn't make it to the signing, but she was at the other Orem Deseret Book later on that day) but author Clark Burbidge (right) was holding the fort down very well. He informed me that he is working on a new youth series (middle-grade, I believe), the first of which is called Giants in the Land, which will be out next summer from the same publisher as Piece of Silver. From his description, it sounds like it'll be a great read with a great message for anyone, LDS and national market alike. Brandon Sanderson (left) signed at the Orem Barnes & Noble beginning at 2 PM. I stood in line for two hours and had a great time. Can you believe it? But that's what happens when friendly, book loving people get together. I chatted with the couple behind me and the teenage girl in front of me. I even picked up a copy of The Unofficial Hunger Games Cookbook which was sitting on a strategically placed table of Hunger games items right up against the signing line. There was only one cookbook. I picked it up, I had seen it online and was intrigued. I flipped through it and chuckled at the interesting recipes and thought that many sounded doable. I held onto it, know i could get it cheaper on Amazon, but felt a need to support B&N for holding author events. So I bought it. 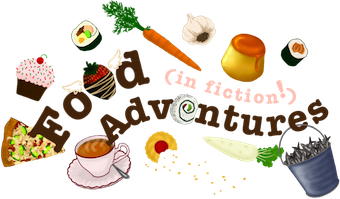 I'll share recipes with you in the near future. And sure enough, it's 40% off on Amazon (click title below). So, back tot he signing, I finally got up to Brandon Sanderson and he was very nice. I thanked him for his substantial donation to the "Life, the Universe, & Everything" symposium and got a bunch of signed bookplates form him, as well as two signed copies of Alcatraz Versus the Evil Librarians --both accidentally signed to me (the accident was on my part [post-its!] and I wasn't paying attention until it was too late. I didn't say anything. One was supposed to be for giveaway. Know anyone named Diana that would like a clever, middle-grade novel? Should I just white it out?? Or put a blank white sticker over it and then write the future winner's name on it??). Oh well. Brandon S. is cool. Then I drove back to Provo to meet Cindy C. Bennett, author of the newly released YA novel, Geek Girl (which I'd like to add, has a pretty cool cover. So simple and eye-catching). She was signing at Eborn books in the Provo Towne Centre Mall (1 - 5 PM) with her lovely daughters (right). And low and behold, when I arrived, she had been expecting me and had an awesome bag of goodies waiting! All Geek Girl stuff! A mouse pad (which I am using right now -well, not while typing, but it's right here under my mouse), a note pad, and a MUG! I've used it twice already! And I got a couple of Geek Girl pens and some bookmarks. Cindy was super nice and we chatted about writing and books and food. She says she is sticking with writing YA because that's what she likes to read and what feels the best for her to write. YA is what is most enjoyable to her. A good lesson for all writers! Write what you love! Don't write for any other reason, no matter if someone tells you to do something different or whatever. Cindy has two other books that are currently eBooks, but which are in negotiations to become print books like Geek Girl. Check them out on Cindy's website (Heart on a Chain and Immortal Mine). 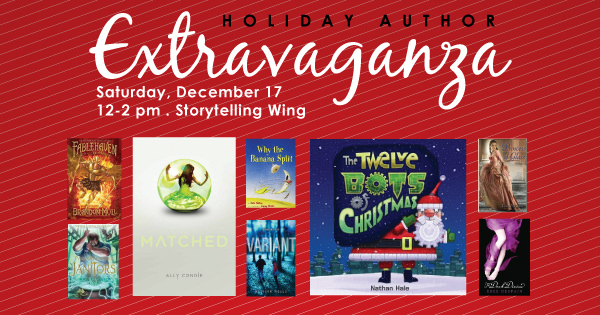 There was also a multi-author book signing at Pioneer Book in Orem from 4 - 6 PM. Berin Stephens, author of the wild-ride, space fantasy, The Dragon War Relic, was the YA author representation. 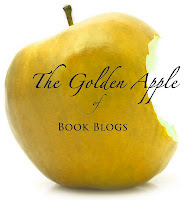 The other authors included Tristi Pinkston, Heather Justesen, Lynn Parsons, & Terri Ferran. Also, at 4 PM, Lisa Mangum (The Hourglass Door trilogy) signed at the University Mall with her author brother Dennis Gaunt (Bad Guys of the Book of Mormon) along with one or two other authors (non-youth books. I can't be expected to remember) as well as artist and illustrator Annie Henrie (ah, there she is) who wasn't able to make it to the earlier signing (poo). I was tempted to jet over to get her autograph in A Piece of Silver, but decided I'd better not risk it. I needed to get over to Cindy in Provo! 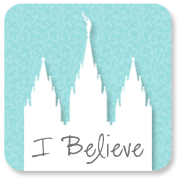 And I feel positive that I will have another chance to get Annie's autograph, perhaps at Women's Conference or Education Week on BYU campus, or at a Deseret Book Ladies' Night. We'll see! Delacroix Academy by Inara Scott, The Talents & The Marked collectible cards and The Candidates envelope card. Getting ready for Christmas! Have fun!